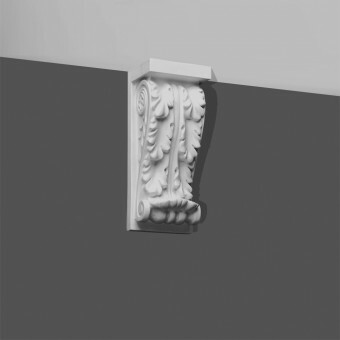 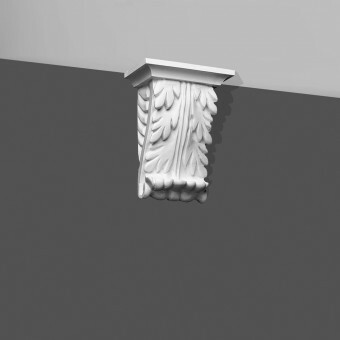 A small corbel made of the ubiquitous acanthus leaf. 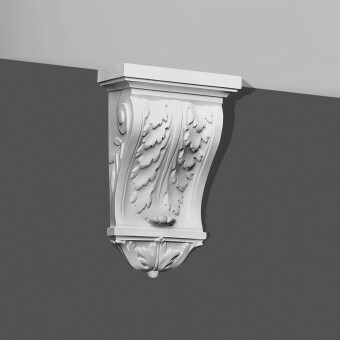 A large corbel made of the acanthus leaf. 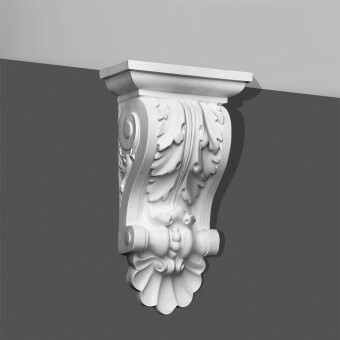 A very large corbel with the acanthus leaf, side volute and a shell pattern. 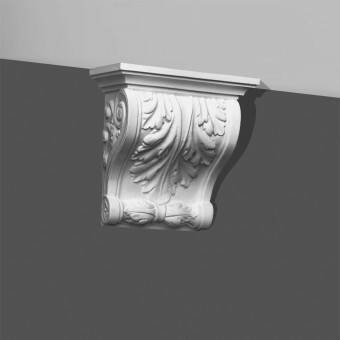 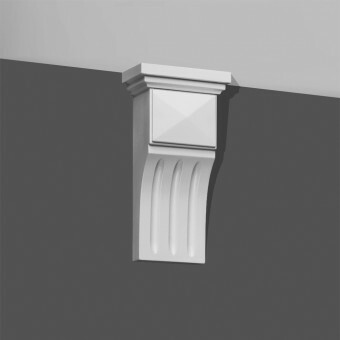 A wide and large corbel with volute. 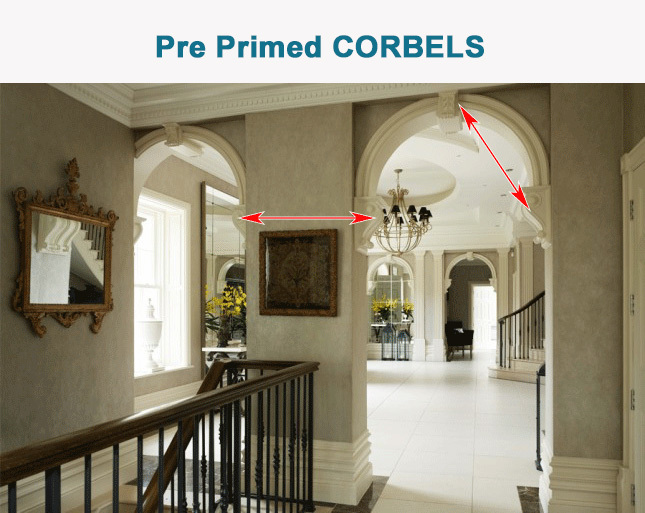 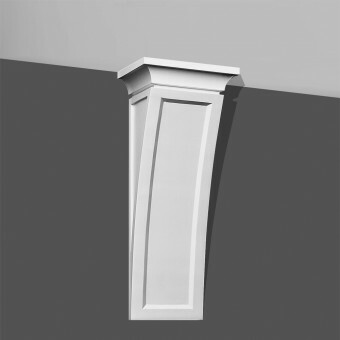 An extra long plain corbel. 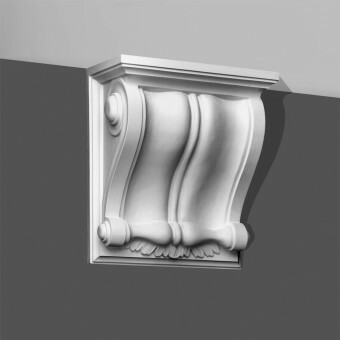 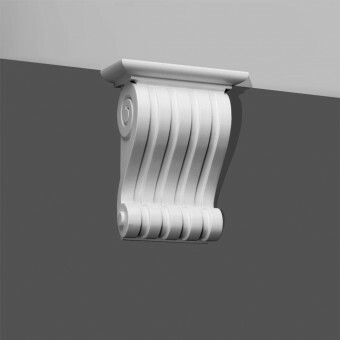 A fluted corbel with side volute.